Undergraduate students can access degree audits and graduation progress reports. 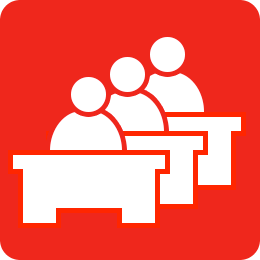 Rutgers students may use Course Schedule Planner to build, compare, review, and register schedules for available semesters. Long term planning, course catalog search, automated schedule generation, improved calendar view, advanced filtering, wish list and WebReg integration are just a few features that will make planning a schedule easier and faster than ever. Check which sections are closed or open, whether additional sections or courses have been added, view the course synopsis, or view the entire catalog by subject. Download the schedule of classes (PDF). Web application to register and add/drop courses. Actively registered students can now view their class schedules for the current term with meeting days, times and locations, as well as their semester grades & full transcripts at this site. Authorized users can request an official transcript, a verification of enrollment, or a recent term grade report for currently enrolled students, alumni or former students. Students who have applied for Financial Aid may view this screen to determine if any required documents are outstanding. Students who have applied for Financial Aid may review their award status as well as submit changes to enrollment status, housing, and awards via the Data-Change-Form-(DCF). Students may view their charges and payments online. They may also pay their bills from this site. Currently enrolled students can view their outstanding financial holds. They may also pay their charges online, depending on the department. myRutgers is the personal, customizable, web-based informational portal to Rutgers University and is available to all Rutgers students, faculty and staff. Each student of Rutgers (non-RBHS) has been assigned an identification number called RUID. The RUID can be view in the myRutgers profile channel. Students may change their personal access code which is required to access Touch-Tone and Web Registration. NJ Community College students transferring to Rutgers can use the New Jersey Transfer Course selection and evaluation system. Students can access New Brunswick transportation services, including citation payment, student permits and bus schedules. Students can update their home address and phone number, local or campus address and phone number, emergency contact information, email address and other personal information for display on the Rutgers Online Directory. Students can update their home address and phone number at this site. Currently enrolled students can add/update cell phone and emergency contact information at this site. Students can update their email address, personal url and disclosure options for personal information at this site. Locate a Student, Faculty, or Staff member at Rutgers. The online RU Events system is the central location for information about events of interest to the Rutgers community.